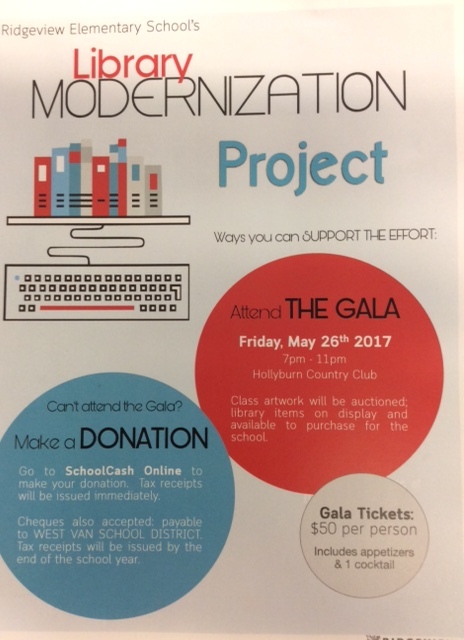 This Friday, May 26, is Ridgeview Elementary’s Parent Gala in support of our Library Modernization Project. Each class was asked to create a piece of art to be put up for auction and sold to the highest bidder. Christy and I have had a lot of experience teaching art and one thing we know for sure: children’s artwork is highly developmental and extremely personal. It’s one of those opportunities where we can teach a variety of skills (using scissors; holding a paintbrush; cutting with a template) and techniques (printmaking; wax crayon paint resist) but how the children interpret the task is really their own, as it should be. However, when we are commissioned, as it were, to create something specific to be sold, we need to find a balance between teaching our children skills and techniques, allowing them to express themselves at a personal level and yet make a product attractive enough to get parents to bid and spend their money. We might be your child’s Kindergarten teacher, but we’re also realists who understand we’re creating art for a fundraiser and we want it to look good. 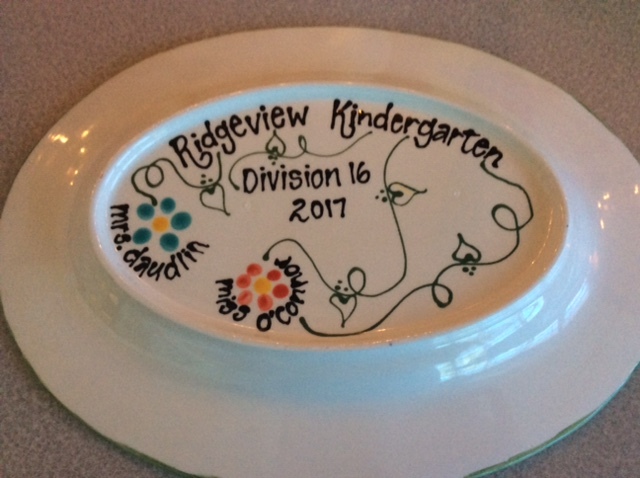 We were working on a very tight timeline this spring between Easter, Student-Led Conferences, Mother’s Day and Welcome to Kindergarten and the preparations that each of those major events in our Kindergarten calendar entailed. 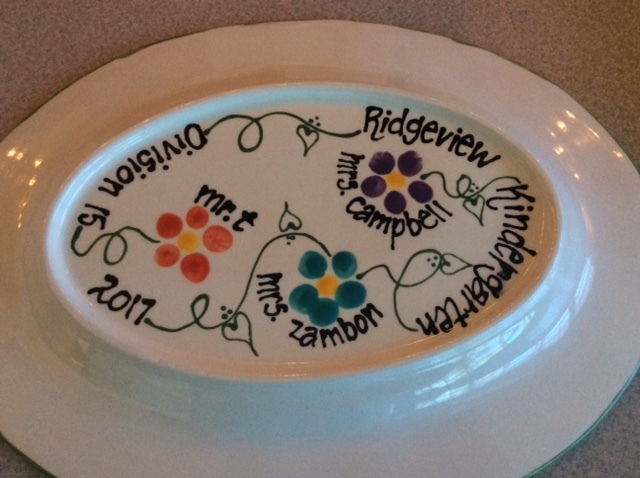 So with a lot help from our parent helpers, our friends at Bella Ceramica, and our Grade 7/District Innovation Teacher (Technology) Ms.Wilson, up for auction are two gorgeous platters made by this year’s Kindergarten children with great skill and precision. 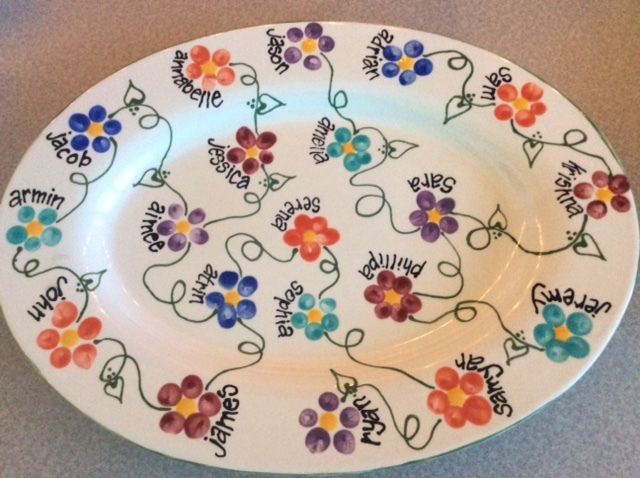 We used another printmaking technique, our fingerprints, to create the delightful little flowers scattered on these serving dishes. The centres of each flower was made with the eraser end of a pencil. Ms. Wilson painted in the vines to show how each of us is connected to one another with love (the leaves). On the back are the fingerprints of your child’s teachers and Educational Assistants with a few words to commemorate the place and year. 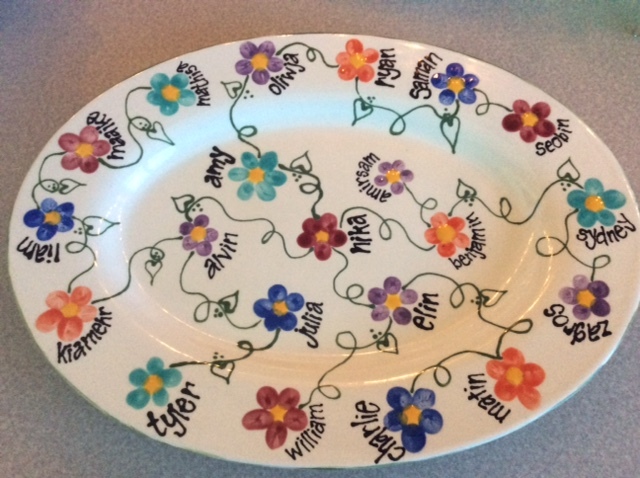 We hope you have an opportunity to bid on these wonderful pieces of art.